Carry forward connotation of quality, show tasteful life, and look for direction to make the high-end brands (products) guide the market in a better way. See through market trend clearly from a professional perspective, focus on annual work through rigorous selection, and interpret quality life with perfect user experience. Pure waste water ratio of A.O. 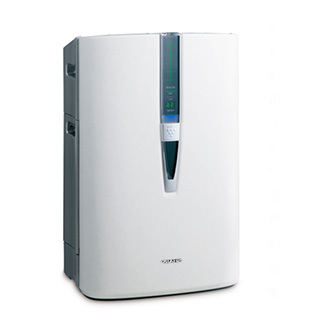 Smith AR600-L1 water purifier reaches 1:1, and with patented sound-free design, its running sound is decreased to below 40 db. Adopting patented technology of MAX3.0 long-term reverse osmosis filter element, it could effectively filter out heavy metal, and service life of the filter element is up to 3 years. With non-barrel design, the flow reaches 1.5L per minute, thus the water flow is greatly guaranteed. With UV instant bacteriostasis, the drinking water is healthier due to double guarantee. A.O. 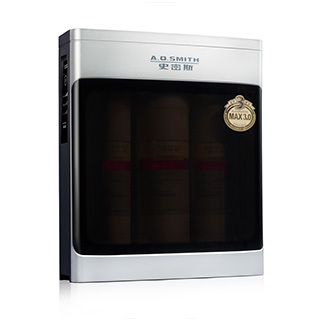 Smith air purifier KJ1200F-B01 is specially designed for domestic heavy haze. With CADR value up to 1200m3/h, it could purify the air to “excellent” in 20 minutes. With exclusive patented PM2.5 real-time digital monitoring technology, it makes the purification effect visible. It makes physical purification with zero ozone and no secondary pollution. Even under condition of heavy pollution, the main filter element could have a service life up to above one year. The machine is equipped with the developed patent and intelligent maintenance reminding system of IMM line. It can automatically set the protection strength according to the water quality of users and initiatively release the protective ions which will neutralize with the erosive ions in water to protect the liner. The specially added "self-cleaning function" of liner makes the hot water cleaner. The machine integrates the rapid heating and heat storing features; the unique function of "rapid heating semi-liner" can heat the water rapidly according to the user' requirements and the heating speed is 5 times faster than the products of Generation II after being promoted. The machine adopts the special patent technology of Jingui special care heater which is not easy to absorb impurities and ensure the effective anti-corrosion and scale prevention. At the same time, it can keep the long time and efficient heating operation and stop the consumption of anode bar, which provides longer effective protection to liner and extends its lift. This machine has created the "legend story of continuously being used for 52 years".  Due to this new technologies and the performance of safety and efficiency, this product has acquired the "Red-top Award" of electric water heater products. It is of Italian design, with stylish appearance. 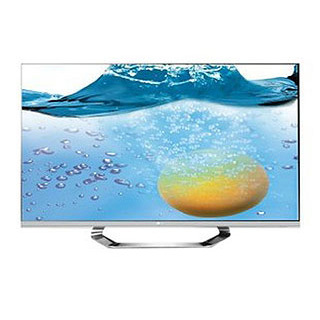 It has dazzling white black-background LCD large screen, and three-dimensional three-button operation. It is of separate installation. With free choices, it can be installed at balcony, garage, equipment room, storage room, cabinet and other places. 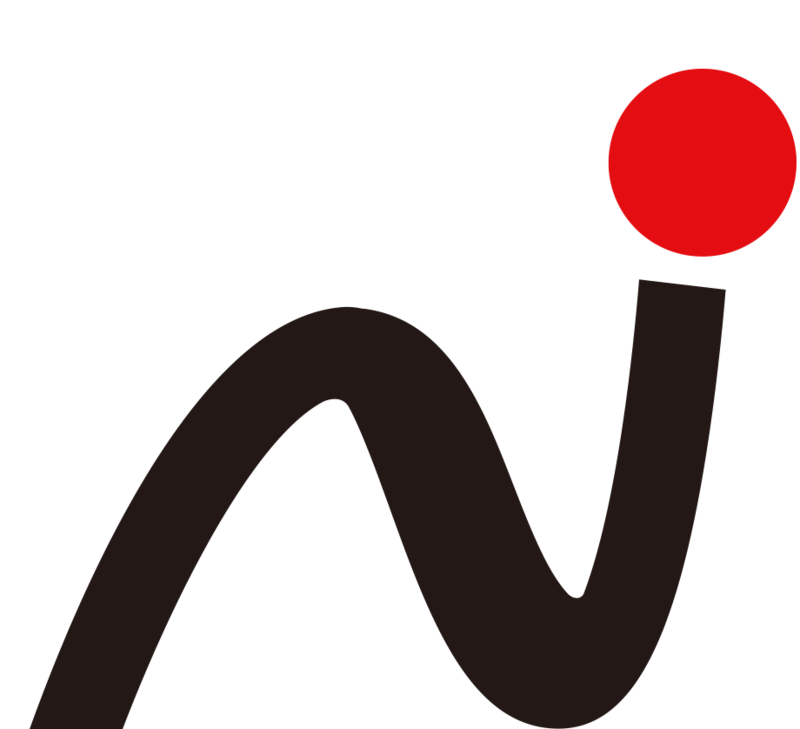 Two powers including "air source" and "intelligent electrical heating" are combined perfectly, and can operate simultaneously, to provide hot water at ultra-fast speed. What is more user-friendly is that this machine can select wire controller, which is easy to operate, and can arbitrarily control water temperature and operation modes; it can be placed with bath heater switch, which brings convenience for bathing. 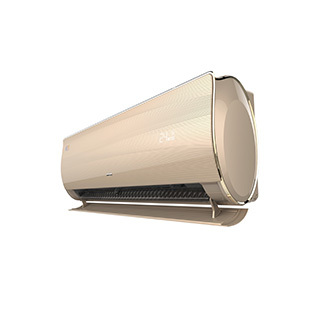 Aux Jimeng air-conditioner KFR-35GW/BpAYA800(A1) adopts oval-shape integration modeling, TS top-speed cooling and heating technology, and the high-speed driving which could realize cooling in 30s and house heating in 1 minute. 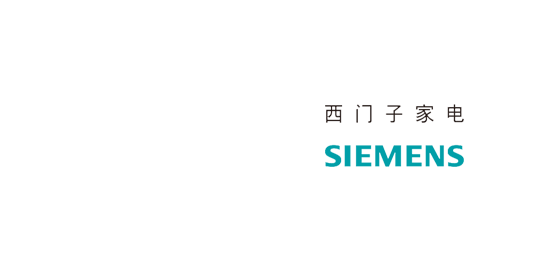 AUT-Smart power adjustable technology could adjust the refrigerating power according to the users’ requirement for heat exchange and electricity quantity. The PID drain and ultralow-temperature dehumidifying technology could make dehumidification without freezing at 10℃. With ECO energy conservation and electricity saving, it could adjust the rotate speed and reach ideal comfort automatically, thus realizing the users’ experience to the extreme. 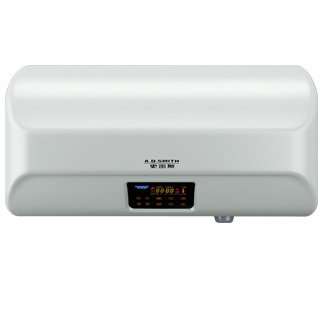 Aux Jike air conditioner KFR-72LW/BpX800 (A2) adopts the second-generation intelligent WIFI, and can conduct intelligent interconnection with Xiaomi platform, including intelligent power consumption measurement, intelligent node control, intelligent time-shared control, etc. 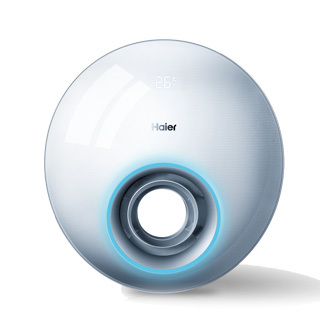 It makes the users transform from "using" air conditioner to "playing" air conditioner. Double-pole telescopic air deflector perfectly supplies air to every corner of the house, and is 360° perfect with no dead corner. The ultrathin body styling is fashionable and bright, and is able to effectively save room space. 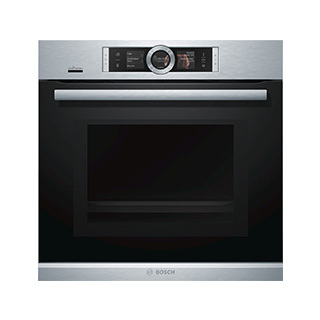 Bosch oven HNG6764S6W, in appearance, it combines tough stainless steel with sensitive black glass, which highlights European-style design beauty. The product adopts 4D heated air circulation temperature control, which could distribute the heat evenly in each layer of the oven. The 16 heating modes could meet different cooking requirements; the oven is also equipped with barbequing, baking and microwaving and other auxiliary functions, which could enable you to cook various delicious foods rapidly. 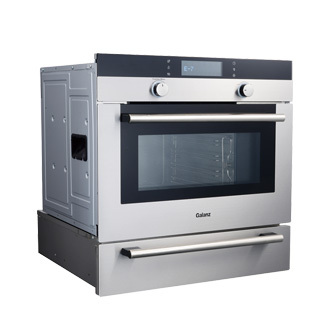 The oven is equipped with 30-300℃ accurate temperature control, ensuring excellent baking effect. 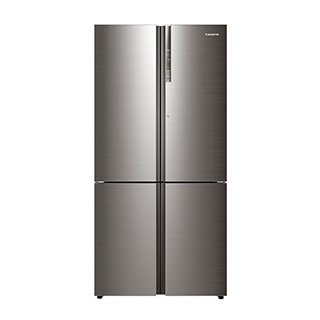 The Bosch refrigerator KMF40S65TI adopts 6-door large space design and locks the nutrition in foods by freshness retaining in subarea. The door layout which has the approximate golden ratio possesses the beauty and practicality. The unique zero degree Weita preservation technology with the ternary cycle cooling system created the clean and health storage environment for food with the coordination of double-layer filter device. The application of efficient variable frequency compressor and intelligent temperature sensing system make the machine outstanding in the area of energy consumption. The machine adopts the new door enclosure that it has larger overall frame. The machine insists on the unique two-color door enclosure and is skillfully designed with silver, black, white and the multiple color combination of characteristic chrome. The external enclosure reflects the delicate and skillful technology. With the open-type non-handle design, the machine opens the times of “inward opening door” which rejects the danger outside the door.  The four professional subarea procedures will develop the special care for clothes. Timing for washing: refuse to waste time; healthy washing: refuse the growth of bacteria; characteristic washing: refuse generalization; manual washing: refuse the resource waste.  Thoughtful design of Balamuda EGF-1380 GreenFan is of no ingredient of opportunism. It does not omit any details, and softening of stiff wind, mute design, and reduction of power consumption are thoughtful actions. It is deserve to be called top and high-end. The middle pole is detachable, and it can be used on table or floor. Multiple usages greatly increase flexibility and convenience of use. Double structure fan blade of GreenFan can transform the artificial wind drawn into a whirlpool into natural wind to lightly touch the users’ faces. 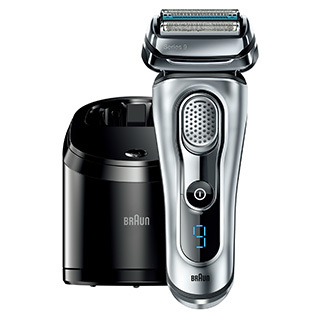 Braun 9 series shaver 9090cc adopts four independent trimming parts for synchronous operation, and in combination with revolutionary resonant acoustic technology, it could conduct 40,000 times of cross trimming in one minute, and could trim various stubborn beards in deep layer. 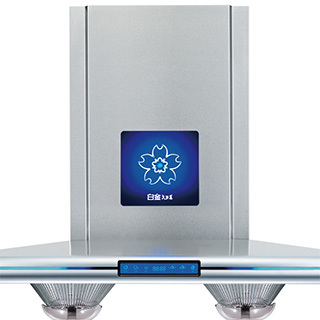 With intelligent full-automatic cleaning center, it could realize hygiene cleaning, charging, lubrication and drying with only one button, thus making the shaver clean all the time. It could complete charging in only one hour, and could enable you to enjoy wireless shaving for up to 50 minutes without stop but remain clean. 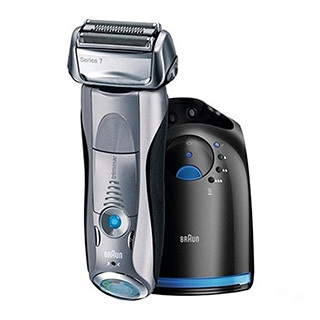 Braun 790CC shaver possesses unique acoustic wave technology. It can automatically read the users' facial outline and then automatically adjust force according to beard density, and is accompanied with more than 10,000 microwave vibrations for each shave; it has 3 different shaving modes: ultra-sensitive mode, normal mode and dense mode, to apply to different facial regions, and provide adjustable ways; through advanced display function, it can give accurate instructions of charging, battery and detailed sanitary condition. It is of hermetically sealed structure, and is convenient for quick cleaning with tap water. 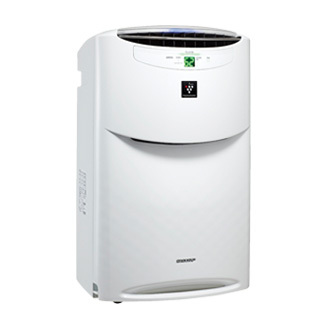 Combining initiated BNT heat balance technology and by virtue of exclusive two-scroll pressurizing system, Casarte CAP721UAA(A1) air conditioner has realized air balance from “10℃ cold air blast” to “23℃ cool air blast”, thus realizing the optimum comfortable temperature of human body. The LIEP light-ion purification could effectively control and filter hazards of PM2.5 and PM0.3 particles; the initiated dry-and-wet automatic-control technology could accurately control 52% humidity and awaken the skin activity, thus reaching the optimum comfortable humidity of human body. 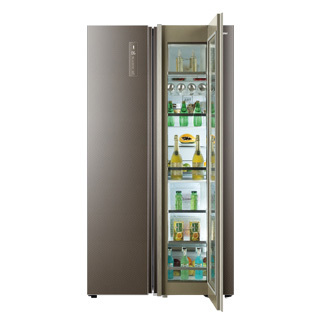 Casarte solid-state refrigeration wine cabinet DJC-110U1 adopts door design of UMI coating-film development in appearance, and forms fine and space patterns through laser engraving. The metal liner is sturdy and durable, and is of corrosion prevention and quick heat conduction, making the temperature more even. The full sliding-rail wine rack solves the user pain point of inconvenience in picking. Solid-state refrigeration technology uses CO2 and H2O as heat pipe exchanger of refrigerant, realizing real green, energy-saving and environmental protection. machine has built-in fully-enclosed inner bucket, and there is no water in the bucket, which has really isolated the bacteria. The rain-curtain-type water inflow could spray and penetrate the washing agent onto the clothes evenly. The gush-type overturning washing could penetrate the fibers of the clothes powerfully. Through rolling the clothes up and down, it could wash the clothes evenly without dead corners. With all-steel soft and protective inner bucket carrying laser seamless welding process, it could protect the clothes better. Casarte “Dingji Yunzhen” refrigerator (BCD-631WBCSU1) adopts globally initiated air-suspending oil-free compressor, which could control the temperature fluctuation at ±0.05℃ and close to constant temperature, thus realizing cellular-level fresh-preservation at last; “human-feeling mode” is increased on the control panel, which could perceive approaching of human bodies intelligently. And the touch-control door design makes it more convenient for the users to use; with one compressor controlling three sets of refrigerant systems, it could accurately control the flow direction, flow quantity and refrigeration speed of refrigerant in each room, thus guaranteeing no taint of odors of the food materials. The originated "two-roller in one machine" washing solution of Casarte Gemini Yunshang washing machine C8 U12W1 breaks through the traditional washing model and solves the problems of subarea for washing in the industry. 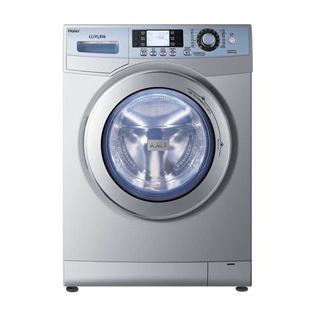 The 12+18 models of dual modes Yuanshang washing system have respectively ways for each shell fabric of clothes. Its professional Gemini intelligent balanced system realizes the silent washing of "two-roller in one machine" between upper roller and lower roller and brings the advanced, healthy and professional washing experience to users. 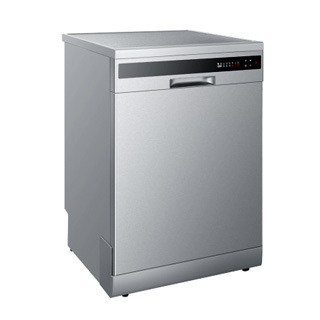 The large storage space of 801 liters allows the foods are stored in perfect order; the vortex dynamic sterilization technology can ensure the freshness and health of foods; the F-D Plus full-time induction inverter technology make the operation of refrigerator more energy-saving; the multi-temperature and multi-cycle technological subarea monitors the operating conditions of each chamber of refrigerator; the gradually bright illuminant design bring more extravagant chilled experience. "Space", "health", "convenience", "intelligence" and "innovation" are the five highlights of advanced refrigerator which are perfectly presented by Casarte through its outstanding products. 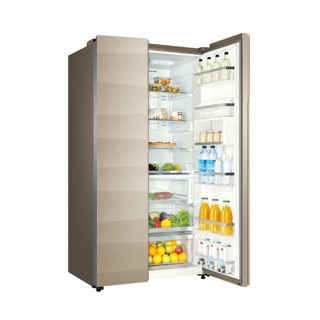 The Casarte Bruns refrigerator is a kind of product that promotes "balance philosophy of freshness inside and outside". The body of machine adopts the supreme glasswork of cambered surface without frame in the industry. The internal dual cooling-source refrigeration will provide more accurate temperature control ad better cold storage and moisture preservation. The application of two freshness-retaining technologies of "freshness-increasing by light wave" and "VC freshness-retaining" can greatly increase the nutrition of fruits and vegetables. The application of many energy-saving technologies makes the machine reach the Level I of national energy consumption standard and become the most energy-saving refrigerator in the similar products in the world. 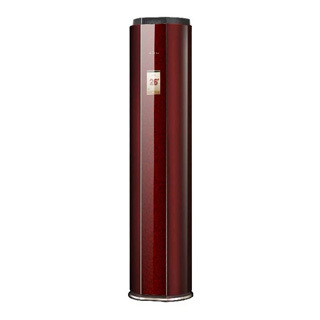 The two-layer hollow door of wine cooler can effectively filter the ultraviolet ray and external thermal radiation. The low-E coating can reduce the damage to liquors from the visible light and make the growth of liquors more stable. 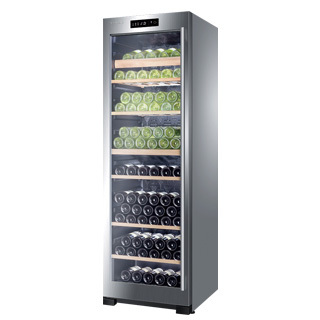 The entire computer intelligent temperature control and moisture preservation can keep the temperature adjustable within 5-20 °C and the moisture within 50%-80% all the time which is the best condition for wine storage. 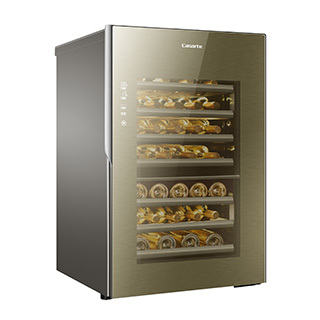 The build-in intelligent WIFI control module can interconnect with the family network terminal which can realize the remote control and checking the operating condition of wine cooler and users can look up the storage information at any time, which shows the intelligent features of high-end wine cooler. The originality or refrigerator derives from the natural inspiration which looks like the sea surface glistening under the sun. In the interior of refrigerator, the unique freshness-increasing by light wave and VC freshness-retaining technologies can effectively extend the fruit and vegetable fresh-keeping time, increase the nutrition, remove the odor and kill the bacteria. The full air cooling refrigerating system can carry out the even refrigeration by three-dimensional circulation without frosting and freezing which avoids the problems of defrosting. The originated dual cold source technology in the world can not only save the energy and reduce the emission, but also ensure the accurate control of temperature in each chamber and make the freshness steady. The refrigerator of Casarte IOT is a landmark revolutionary product in the history of world refrigerator. 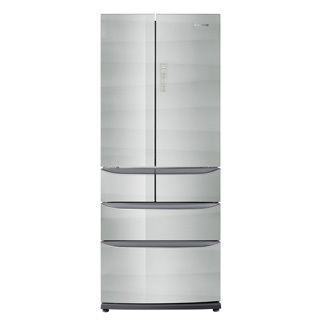 It can not only store foods, but also connect with internet to realize the conversation function between refrigerator and foods in it. It knows the shelf life, characteristics, producing area and other information of foods and feeds that information back to the consumers in time. The refrigerator of Casarte IOT will make the refrigerator which originally is the home device become the center of entertainment. 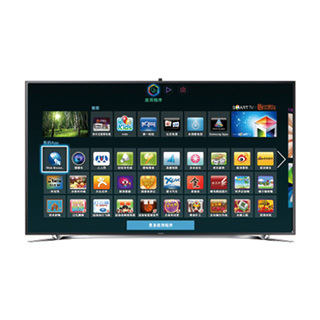 Tsinghua Tongfang cloud can Plus CC-200P is of very rich interface design. Besides common HDMI and network interface, it is equipped with 4 USB interfaces, to meet various connection demands of the users. Multiple interface design and numerous accessories can realize family payment, education, health, safety and other intelligent applications. The internal hardware configuration is powerful. It carries Cortex-A9 4-core CPU and 8-core Mali -450 GPU with dominant frequency of 2GHz as well as 2GB DDR3 dual-channel memory, and its performance may be called unassailable. 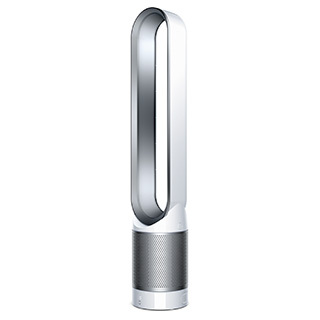 Dyson TP02 electric fan is a bladeless fan of an extremely high sense of technology. 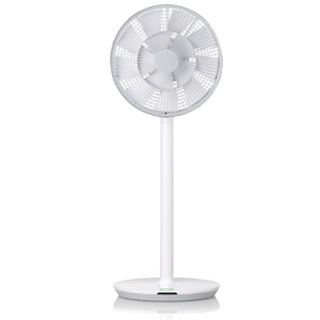 Despite of a height up to 1018 mm, it has a weight at only 3.2 kg, which has changed our usual recognition that fans are “clumsy”. Compared with traditional fans and traditional bladeless fans, this machine has an outstanding advantage in cleaning and noise aspects. 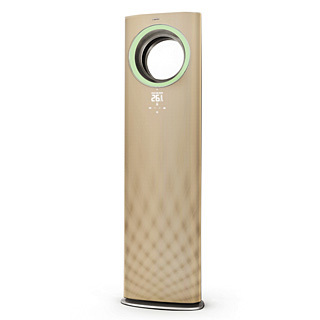 What is worth mentioning is that it also adopts high-efficient filter screen, which could purify the air while making ventilation, thus providing the users with a more perfect use experience. The machine adopts the fashion tempered glass as panel with the embedded design and seamless design of molding by one time which is much more convenient when cleaning. The several fine adjustments are applicable to various dishes and make cooking easier. The Electrolux JZYT-EHD728BA gas stove which possesses the intelligent touch panel design also have six types of thermal power for cooking in addition to ten grades of thermal power which are easily adjustable. For the friends who do little cook, it is convenient and easy to choose the thermal power which will excellently reserve the nutrition and taste of foods. The machine integrates the gas and electromagnetism and mixes the strong fire and energy-efficient practical cooking performance. 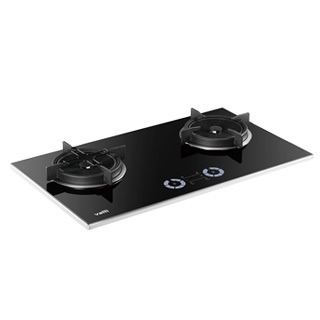 The induction cooker can heat food through electromagnetic induction which is energy-efficient without radiation, hot gas and exhaust gas. The creative sinking double-layer water pan of gas stove can concentrate the heat around the pan. 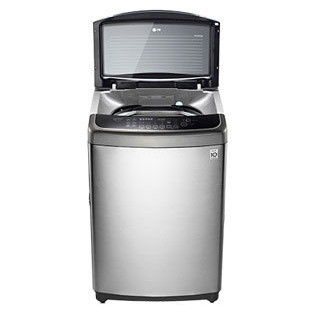 At the same time, it can be dismounted for washing which is easy and convenient. 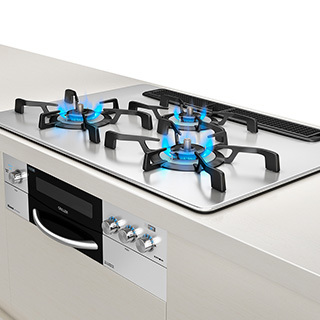 Under the consideration of safety of users, the stove adopt the Spanish ORKLI flame-out protection device which can turn off the gas source rapidly within 30 seconds during the accidental flame-out and protect the safety of families. Galanz G90F25CSXLVIII-R6(G0) has a volume at 25 L. The product adopts European-style lower sliding door design, and its rose gold appearance is quite suitable for beauty-appreciation of modern families. In terms of function, with a maximum power at 900W, it is more power saving due to intelligent frequency conversion. The operation panel is equipped with one-button-start function for many food menus. There is intelligent voice broadcast during the cooking process, and the human-machine interaction experience brings a complete new pleasant sensation to the cooking process. 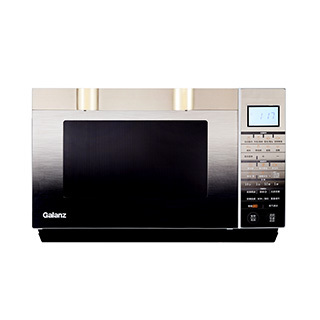 Galanz microwave oven G90F25MSXLVIII-A7 (G0) is of the unique light wave frequency conversion technology. It differentiates between inside and outside when heating the food, to avoid the circumstance of getting the food burnt outside and raw inside in the process of microwave heating, thus guaranteeing food nutrition.  It applies the industry’s most advanced furnace humidity sensing technology, which can recognize water vapor concentration evaporated for heating food and food category, automatically sense food cooking fire and the time required, so as to adjust cooking progress and fire, and truly realize intelligent cooking. 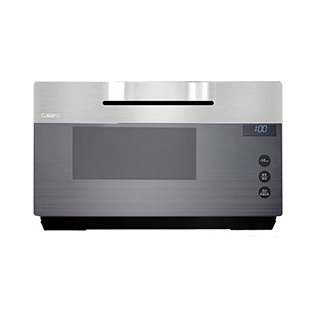 Galanz electric steam box DZ30Q-D81 has 8 nutritional cooking modes, including intelligent original steaming, constant micro-pressure steaming, quick defrosting and other functions, which enables the users to cook delicious food easily. The function of quick extraction of waste heat can prevent a large amount of water vapor from condensation, and overheat protection makes it safer. Long-acting sterilization, accurate temperature control, accurate steam amount control and other functions bring better energy-saving and environmental protection effects. The electric steam box adopts high-end aluminum alloy panel and fashionable dynamic high-definition LCD display screen, and human body heat-sensing touch display screen makes the usage more convenient. 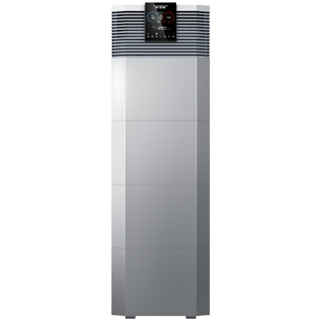 The machine possesses the professional heat pump drying technology and extremely high energy utilization efficiency. 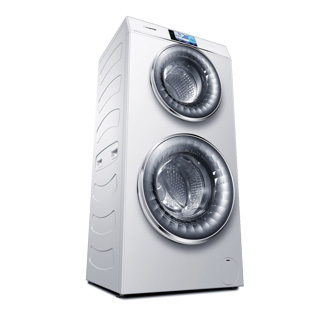 It can save 66% energy compared with the normal dryer. With the higher condensation efficiency, it can control the temperature at 56℃ all the time and dry the clothes gently and meticulously and ensure the fabric fiber will not be out of shape and the clothes will not be damaged. During the drying process, the bacteria can be effectively killed and the sterilizing rate reaches 99.98% which can avoid the cross contamination of clothes. The unique AMT antimicrobial window mat has the guarantee of antisepsis and mould proof which will make you feel relieved when you are dressing and give you more healthy energy. It is delicate and neat with simple and generous appearance design. It adopts fashionable flat color crystal glass material, and is very beautiful. 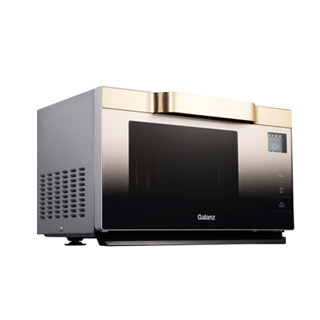 Use of control panel with 3D stereoscopic printing pattern and matte effect in the front of the glass makes the microwave oven turn to be high-end and gorgeous immediately. 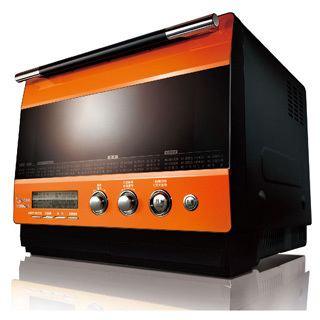 Dual-frequency conversion technology makes the microwave oven have simultaneous or individual output from top and bottom of the furnace chamber to heat the food, which can heat the food more rapidly and comprehensively, and keep food nutrition at the same time of guaranteeing taste of food, so as to bring delicious and nutritious meal to the users. It overturns the tradition in appearance. Multicolor round appearance design brings the users stylish and sensory new change, breaks inherent foursquare and closed image for 60 years since creation of microwave oven, and contains technological, stylish and modern atmosphere. It uses multistage door hinge system, and sets 45° and 65° multiple upward swing door angles; hereinto, an open extra-large space-Weilaicang is built for 65° wide-angle upward swing door. It is available for braising, broiling, stewing, steaming and freely stir-frying like open fire, so as to meet different demands. The unique germination and cooking function can shorten the germination time of germ from 36-72 hours to 4 hours, which greatly saves the users' time and energy. The rice cooked by it tastes good, and the nutrition thereof is reserved. 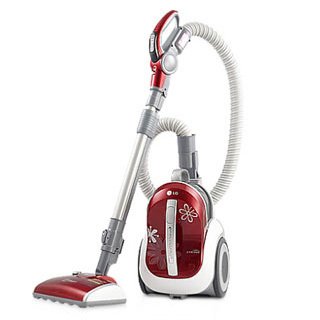 It is equipped with extra-large LCD multicolor background display; the unique removable and washable detached "foam breaker" is not difficult to clean, thus saving time and energy. Through three-dimensional heating, the heating is more even. With eightfold safety protection and adjustable thermal insulation, it matches with multiple pressure cooking modes, which makes the cooking become easier. 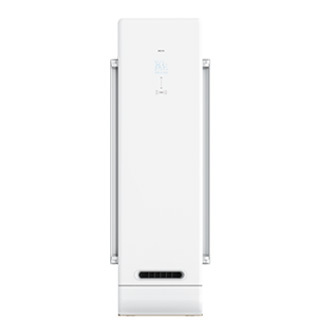 Haier air-source water heater KD1800W-160AE3-U1 has broken the industrial noise barrier, and has realized the minimum 38 dB ultra-silence in the whole industry. Pure heat pump could be heated up to 80℃, which has broken existing standard of the industry and has improved the content of mixed water at the same time, thus bringing a more comfortable bath enjoyment for the consumers. In appearance, it adopts fine-diameter design, which has not only guaranteed simplicity of installation but also decreased the occupancy area. 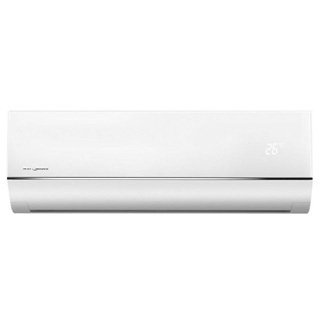 The overall appearance of SKFR-26GW/01VAA22AU1 air conditioner of Haier Tianbo series is circular. 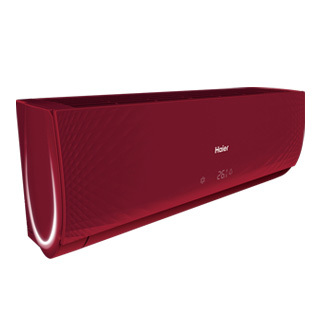 Its interior adopts the non-equidistant air deflector that can evenly reconcile the air supply and make the air soft and nature. The design of annular air outlet system realizes the natural mixture of air and effectively improves the lower temperature situation at the air outlet of traditional air conditioner. The intelligent WIFI interconnection can automatically push the report about the air at home, community temperature reminder, outdoor activities and other service information which make the control of air conditioner more convenient. 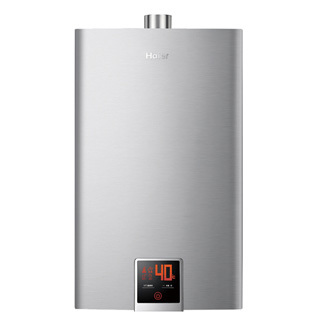 The clean water washing technology carried by the Haier ES60H/80H-EP(E)(U1) electric water heater specially aims at the "dirty water" problem in the liner of water heater which consists of the M-type inflow proprietary technology matched with three sterilization technologies and the sterilizing rate reaches above 99%. The design of efficient energy-gathered ring can heat the water flowing through outlet pipe instantaneously which realizes the bathing immediately after turning on the machine. 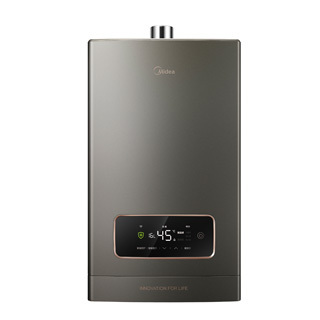 The water heater can connect with the internet through WIFI and users can check and control the operating conditions through APP in their phones at any time which makes the intelligent control more convenient. 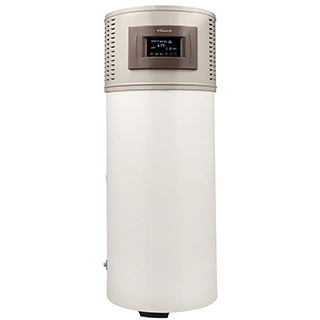 The Haier KF100/300-D7 air-source water heater has the high heating efficiency, low noise and no pressure during the continuously heating. It can work during the low temperature and within the wide area from -25℃ to 40℃ and it breaks the working environmental limit of air-source water heater. The maximum hot water temperature of carbon dioxide refrigerant heat pump can reach 80℃ which is higher than the hot water temperature of normal heat pump for 45%. The three-lay liner with long life which is developed specifically aimed at the water quality in China is anti-dissolution, antiknock and anti-acid and provides triple protection for water heater. The innovational large surface and streamline appearance of air conditioner with perfection and soft can match all modern home furnishings. Its unique internal database PMV system of comfortable degree of human body can accurately perceive the change of environmental temperature and automatically set the optimum air supply model.  The patent purification technology can efficiently remove the PM 2.5 and formaldehyde molecules in the house. 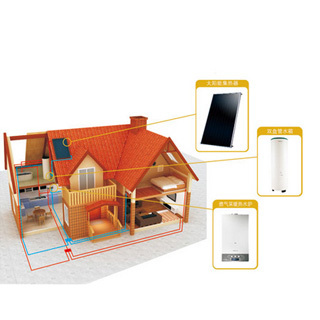 The intelligent WIFI control technology can make it possible after APP binding with phones that users can easily master the operation of air conditioner, power monitoring, fault feedback, change of weather condition and other situations which is convenient and practical. It possesses the fashion V-shape thin appearance, 3D air deflector, aerospace aerodynamic noise reduction technology, WIFI IOT function and the built-in newly researched and developed PMV human comfort control system which applies to Chinese.  Its unique RCD catalytic decomposition technology can catalyze and decompose the formaldehyde pollutants in the air into the water and carbon dioxide. The formaldehyde removing module can be used independently and the formaldehyde can be removed under the condition of air supply. The machine integrates the intelligent thermoregulation, intelligent noise reduction, intelligent speed regulation, intelligent dehumidification and intelligent defrosting which are very thoughtful and comfortable. The innovational design of wind tunnel type air outlet breaks the traditional design philosophy of air conditioner appearance. The machine body is integrated with IFD purification technologies which can automatically monitor the pollution in the house and strongly filter the PM 2.5 particles in the air to ensure the health of families.  The “intelligent air steward” function can autonomously think and automatically adjust the operating condition according to the change of external environment. After the internal WIFI module connecting with the wireless network, the remote control by one button to control startup and shutdown can be achieved and users can easily control the temperature at home. It has simply and fashion appearance.  It can be either embeddable or placed independently. The structural design of shelf is reasonable with high-usage and the bowl shelf can be removable which requires less effort and care. Aimed at the Chinese use habit, the machine adopts many humanization designs and its noise is very low. The unique high temperature "boiling wash" function can easily resolve the oil stain can kill the 99% bacteria and virus on the surface of tableware. In addition to the washing function, it also has the disinfection effect of star level and presents the way of perfect cleaning. Besides, its water and power consumption performance is excellent. 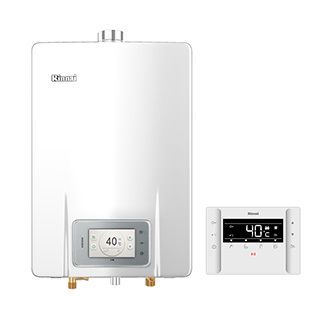 The ultrafast 3D dynamic heating technology breaks through the bottleneck of fast heating and realizes the immediate bathing after turning on the machine in summer and comfortable hot water bathing after waiting for a little while in winter which completely solves the problems of uncomfortable hot water after waiting for a long time. The ECO-SMART intelligent technology can record user’s bathing habit for 28 days and analyze it to master user’s bathing rule and it can automatically heat the water in advance and reserve the hot water for using in the next day by its excellent heat preservation technology. It is intelligent, efficient, energy-saving and environment friendly.  Juya Generation II family central air conditioner RFC280MX4-H of innovation type integrates the compact structural design, 21 db silent operating technology, DC frequency conversion technology and intelligent temperature control which save 30% power. 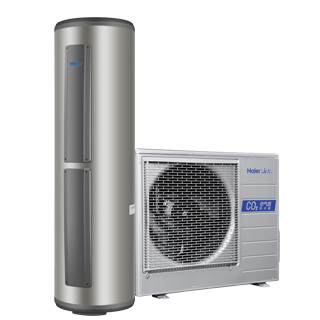 Besides, with the long-distance interconnection and intelligent control technologies, the Haier's purpose of "creating the thinnest, most silent, most power saving and most efficient central air conditioner for hose use" is fully incarnated. 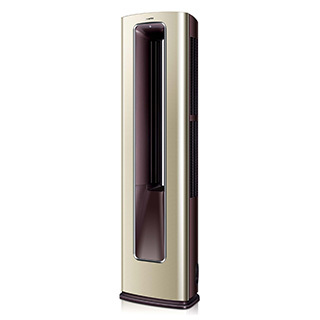 Users will not worry about the punching and installing of the traditional air conditioner anymore and they can enjoy the hotel-like comfortable environment at their home. 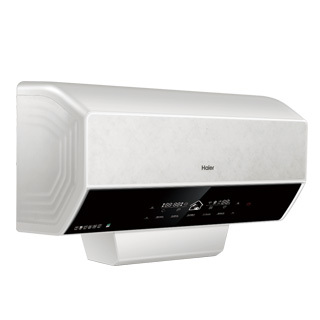 The column body of Haier Dizun air conditioner breaks the exterior limitation of traditional cabinet type air conditioner. The application of "broadband free inverter technology" makes it be the first air conditioner product in the world that achieves the operation of ultra-broadband from the minimum 0.1 Hz to the maximum 150 Hz. The RCD catalytic decomposition technology can catalyze and decompose the formaldehyde pollutants in the air into the water and carbon dioxide to protect the health of users. The intelligent technology which integrates intelligent thermoregulation, intelligent noise reduction, intelligent speed regulation, intelligent dehumidification and intelligent defrosting will make the operation more thoughtful. 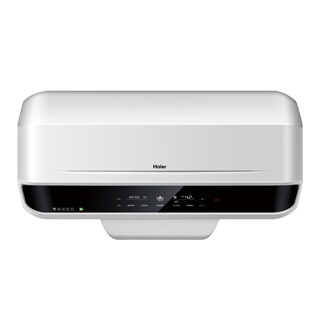 The design of LED display on the middle and lower part of Haier JSQ20-12N1 gas water heater body will provide the more thoughtful interactive mode. The condensation technology is the highlight of JSQ20-12N1. The independent condenser will make the pre-heating comprehensive and efficient. The innovative microcomputer intelligent constant temperature control system can control the deviation within ±1℃ which will avoid the unstable water temperature. This product has the design of water saving that will remind you bathing as required and save the water. The heater thoughtfully set the security protection lock of 50℃ which can lock the water temperature under 50℃ and ensure the safety and comfort of bathing. 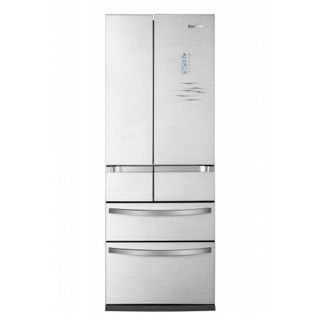 Haier BCD-268WBCS three-door refrigerator possesses the outstanding appearance and completed practical functions. Its computer temperature control technology can effectively adjust the cooling capacity supply and the temperature control chamber has the ability to regulate the temperature from -18℃ to 10℃ to easily solve the food preservation problems. The energy-saving efficient inverter compressor has low noise and the air cooling and frostless technology effectively solves the difficult defrosting problems. Furthermore, the LED dynamic touch screen in the operating area will facilitate operation and the implementation requirement and pattern change can be achieved by gentle touch. 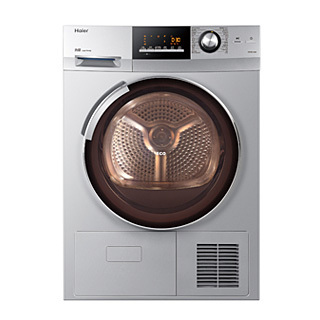 The Haier XQG70-HB1486 washing-drying integral machine possesses great functions although it looks like simply from its appearance. The adaptation of S-D "core" frequency conversion technology make this machine be in the lead in the energy-saving area about the power; the intelligent drying pattern can automatically sense the humidity and it will stop working immediately as soon as the clothes dry which avoids the electricity waste caused by the long time drying. In rainy days, the machine will help you finish the clothes washing and drying by "one step". The accurate frequency converting control technology can achieve the frequency conversion of large span which greatly promote the use ratio of electrical machine. The biggest characteristic of Joyoung cell-wall breaking soybean milk machine DJ13B-D88SG is pulping free of soybean dregs. It omits filtration process, and makes production of soybean milk become simpler and more effective. The innovative design of ultrathin 2cm machine head reduces weight of the machine head, so that the users can pick it up and put it down with ease. The soybean milk machine is of quite rich functions, including soybean fiber milk, extra thick cereals, extra thick soybean milk, mellow soybean milk, nutrient tofu pudding, rice gruel, rice paste, fruit and vegetable juice, nut syrup, etc., It can be handled easily only through one button. 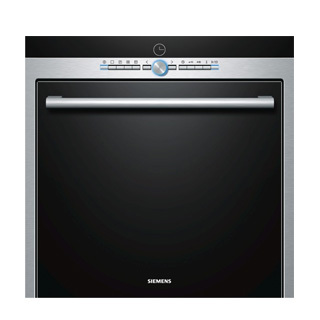 It possesses unique double heating technology, to persistently provide double delicate dry steam. 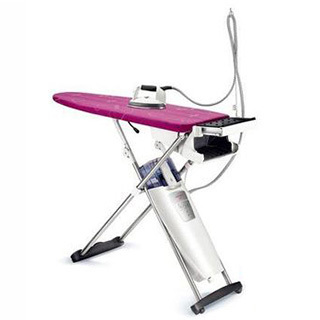 It cooperates with 3D sole plate with international patent technology, to ensure that wrinkles on the clothes can be eliminated perfectly through ironing for one time; active ironing board is of built-in mute blast and vacuum air suction system, which makes the clothes after ironing cool and get into shape quickly, and makes its model last longer; removable water tank is equipped with water filter which is of water softening function, and is available for uninterrupted ironing. The ironing system is foldable for storage. It will automatically shut off after being idle for 15 minutes, and is safer to use. Lake Mojie M85 cleaner adopts wireless design and suspension motor. The level 3 tornado and triple filtration system guarantees the suction capacity more lasting and powerful, and the package of 7 2500Ah lithium batteries could last more than 30 min continuously. Ceiling-mounted hairbrush, two-in-one hairbrush and long-flat-suction hairbrush and other accessories are of flexible combinations. Besides, the high-efficient MIF filter screen washable by water together with imported foam filtration, could avoid secondary air pollution, which shows an obvious humanized design. 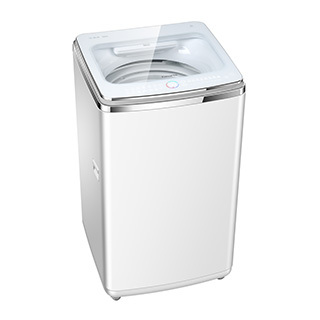 LG WDFH053D7SW washing machine has a luxurious appearance, and its two-in-one upper roller and lower impeller on one hand occupy no extra space and on the other hand could double the function. The exclusive washing function through synchronizing sorting could save the washing time by half, and the steam washing function could remove bacteria, mites and allergen more effectively, thus making the clothes healthier. This machine has DD frequency-conversion direct-drive motor, which is powerful and durable and of accurate control, and the 10-year warranty service has greatly removed the users’ worries. 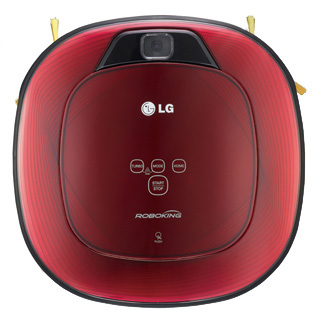 The biggest characteristic of LG vacuum cleaner VK94070NCAGM is wireless design, which resolves the problem about fetter of power line of traditional horizontal vacuum cleaners. After adding automatic location and identification system, the body always keeps 1 meter away from the users, which greatly promotes user experience. The unique dust chamber conducts compression when collecting dust, which greatly increases dust collection capacity and reduces dumping times, so that the dust is not easy to scatter at the time of dumping, and it is very convenient for cleaning.  LG television 65EG9600 benefits from OLED new display technology. Curve design enables the users to enjoy the same color and the equally clear pictures at any angle. 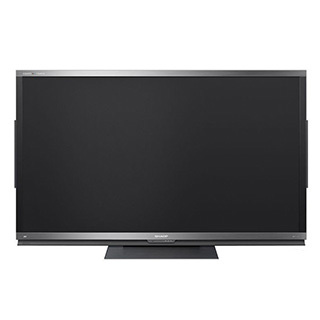 The ultra high definition resolution ratio is quadruple that of full high definition; it is very clear and meticulous even for close look. Through self-luminous pixel, it presents black vividly with richer layers in dark scenes, and provides the coolest black and white contrast effect. 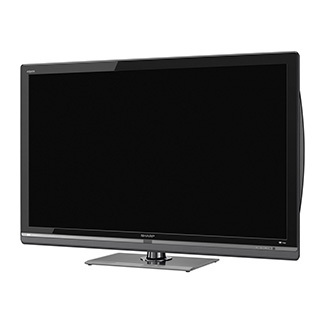 It possesses pure dark scene performance with which LCD television is too far behind to catch up, and has more sense of immediacy and shock power. 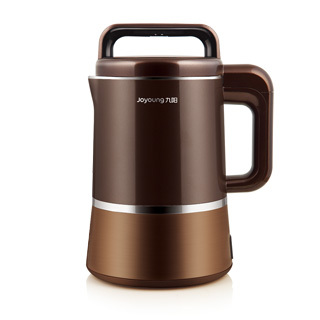 It is imported from South Korean with original packaging, with 18 kg washing capacity. The design of whole stainless steel inner barrel restrains breeding of bacteria; the potent barrel sterilization function can completely clean dirt at any corner of the washing machine, and its sterilization rate reaches up to 99.99%; DD inverter direct drive motor realizes accurate control of frequency conversion of current, it simulates 6 intelligent hand washing effects, and 12 washing functions in total, thus greatly enhancing cleanliness; with special disinfector procedure, it can disinfect the clothes only by light press on the button after addition of disinfector. 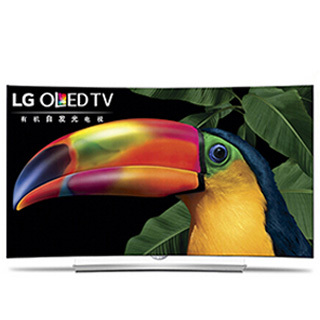 The world's first OLED product with ultra-clear resolution ratio breaks the barrier between 4K and curve OLED organic self-luminous technology; WRGB 4-color technology enhances screen brightness, and is able to combine more colorful colors; it carries the unique webOS minimal operating system, and with Magic Motion Remote, operation becomes simpler; non-flash 3D technology shows comfortable and clear 3D image with 4K resolution ratio, and can represent the unique excellent image quality. The matching of square appearance design and extra-long side brush makes it be able to be closer to the corner, to stably and thoroughly march forward and clean along the wall, and to detect corner for avoiding collision. Intelligent binocular 2.0 system supports top and bottom double image; it automatically calculates light intensity, scans ceiling, and intelligently plans cleaning path. Maximum capacity of easy-to-pull dust chamber is 0.6L. 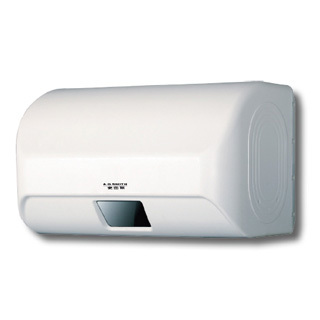 It ensures complete eradication of secondary pollution through HEPA filter. In respect of functions, it possesses 1 manual and 4 automatic cleaning modes which can easily meet cleaning demands under any environments. 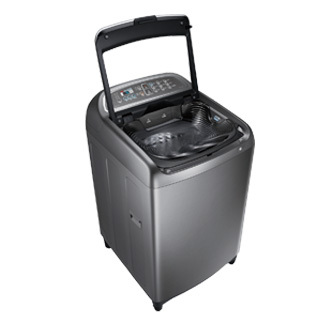 It is of extra large washing capacity; the wisdom technology based on DD inverter direct drive motor imitates 6 hand washing modes, and adopts combination of different washing methods for different clothes; it has 12 washing functions in total, and can heat the water quickly for washing clothes; the stainless steel inner barrel possesses outstanding effect of bacteria resistance and bacteriostasis, and it automatically cleans filtration system and eliminates fluff without manual operation; the design of light and slow safety door adopts new damping technology, which enables the users to use it more securely. 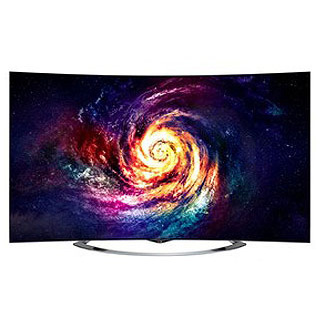 It is of 84-inch extra large screen and LG Display characteristic 3D IPS panel, and its resolution ratio reaches up to 3840*2160, which is equal to filmmaking standard; it is equipped with FPR Cinema non-flash 3D technology, and carries 2.2 dual track, thus 100% restoring audio-visual experience at cinemas; it integrates intelligent sharing function, WiDi technology exclusively cooperated with Intel, upgraded version of Magic Motion and sound remote control technology, and 3D sound remote control technology into a whole, and is solid choice of high-end families. The cyclonic suction method without dust bag will effectively separate the dust from the air; at the same time, the machine can compress the dust and the collection capacity of dust is three times larger than the capacity in past which greatly reduce the frequency to clean the dust collection barrel; the HEPA filter with high density which can be washed by water can filter out 99.9% tiny dust particles and bacteria in the air; the broom head of high temperature steam can be foldable at corners. The vibrating mite removal broom head, metal painting and the elbow-type foldable pipe will change the traditional acknowledge about the vacuum cleaner. 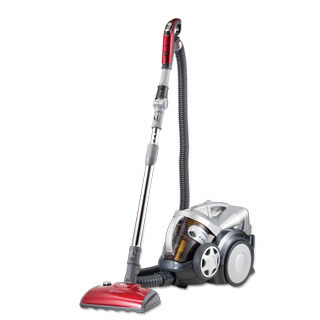 The steam broom head possesses the functions of dust collection, floor cleaning, stubborn stains removing and disinfection which can be implemented at the same time. The machine with several purposes adopts the unique variable speed separation technology which can effectively separate the dust from air, reduce twining and be cleaned easily. 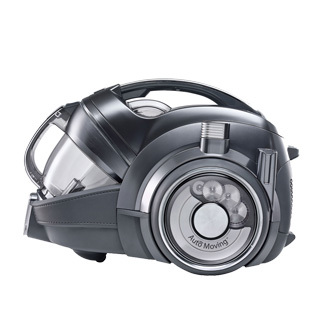 The HEPA filter with high density which can be washed by water can effectively resist the fog bacteria and bacteria in tiny dust and give more guarantees for families’ health; the vibrating mite removal broom head, corner foldable broom head and pointed suction nozzle will eliminate all dead angles and make the cleaning works more time-saving and convenient. Beverly UONE is the first electric water heater with operating system, which could meet all illusions for intelligent bath experience: listening music, watching TV drama and answering phones during the bathing process, and it customizes temperature for every family member, etc. Besides, it unique 6D purification and running water system could enable the skin to truly drink healthy and good water. 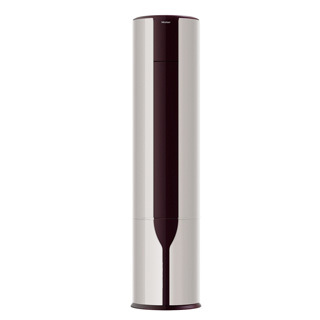 Midea water purifier MRO1595A-75G is not equipped with external water storage barrel. It adopts second-generation vitality core, to make direct drinking water enter at bottom and leave at bottom without reservation of dead water, so as to enable the users to enjoy fresh running water at any time. The electric pump’s power pumping mode makes water outlet speed become very constant, thus ensuring continuous large flow. The built-in vitality core design saves the space under the cabinet. Replacement of filter element is extremely simple, avoiding complicated steps. Ratio of wastewater is only 1:1, thus saying good-bye to the times of raging wastewater, and becoming more energy-saving and environmental. 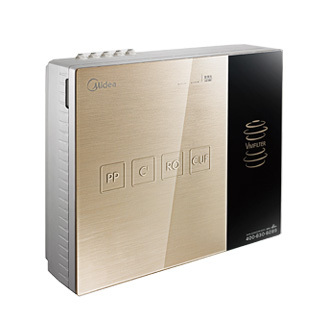 Midea gas water heater JSQ32-16HGS (T) possesses the design of dual frequency conversion constant temperature. It can adjust the frequency conversion through the constant temperature water controller and constant temperature air controller and realize the fluctuation of temperature within the scope of ±0.5℃ which cannot be felt by people and it will make every inch of skin feel comfortable. The time required for constant temperature after turning on the machine is only 7 secondary. It can bring you the most comfortable bathing experience and at the same time, it can reduce the waste caused by excessive cold water and unstable water temperature. It will satisfy the bathing needs under different environments. It is equipped with 0 wait system. It is available for bathing once it is opened, so as to bath cheerfully without waiting. With three-grade free variable liter capacity, it provides multiple choices, thus meeting multiple bathing demands. All-weather safety protection is provided by co safety protection technology + 360° three-dimensional protection technology. With frequency conversion and constant temperature technology, it reaches precise temperature control, and positive-negative temperature difference is only 0.5℃. With ultra-low voltage starting technology, the combustion is more stable. Through temperature sensing technology, it can reach the optimum temperature by intelligently sense, to know your gentleness so well. For "Supreme Red Beauty" integrating science and technology feeling and art atmosphere into one, its design inspiration is from marble pillar of ancient Rome. 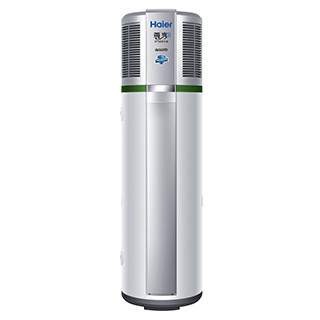 Its strong PM2.5 purification capacity protects and guarantees air quality. Efficient direct-current frequency-conversion compressor is matched with advanced indoor direct-current fan motor and outdoor direct-current fan motor. 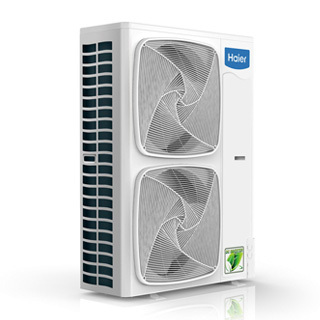 With the help of innate advantage of direct-current motor, combining high-tech full direct-current control system, energy saving technology of the air conditioner is completely brought into play, thus creating an extremely energy-saving air conditioner. 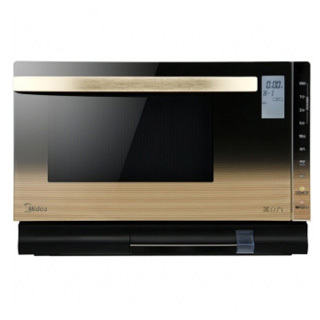 It adopts the direct injection steam technology which mixes the steam and microwave. 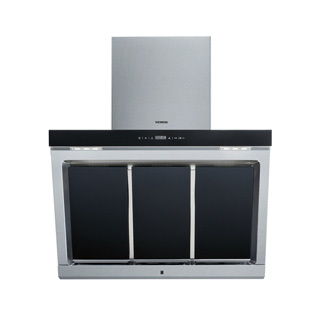 It has higher cooking efficiency and better water retaining than convection oven. 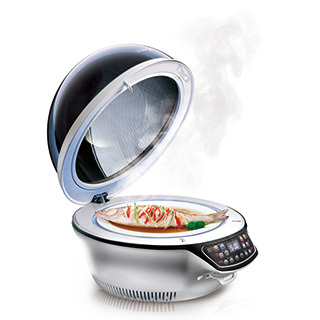 The steam can simulate the traditional cooking model of steamer which can effectively control the humidity. The cooked food maintains sufficient water and the meat is fresh and delicate. The rice is plump and even if the rice is heated repeatedly, its nutritive value and taste can also keep original. The large slab construction of 25 liters with large space and easy-cleaning features facilitates the conductivity of microwave radiation. The beautiful appearance plus delicious food create the fashion and healthy life. The innovational and energy-efficient "full DC frequency conversion" technology make it possible that three core electric machines of compressor and internal and external draught fans adopt the DC electric machines which are equipped with the accurate control system of full DC frequency conversion.  It breaks through the barrier of energy-saving technology in the frequency conversion industry, pushes the frequency conversion technology to a new altitude and truly realizes that the frontier technologies are available to people. Its minimum operating power is only 30 W and it realizes the ultrahigh energy efficiency ratio of 7.36 which means it will save more energy than the normal variable frequency air conditioner for 59%. 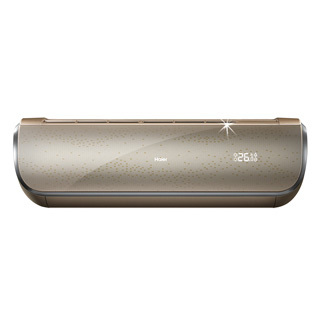 It creates the new energy-efficient standard and leads the variable frequency air conditioner into a new epoch. It is of noble and gorgeous appearance design. 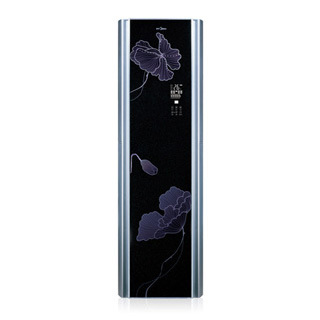 Panel of the body boldly uses gradient purple crystal panel, which shows artistic and luxurious quality of the product. 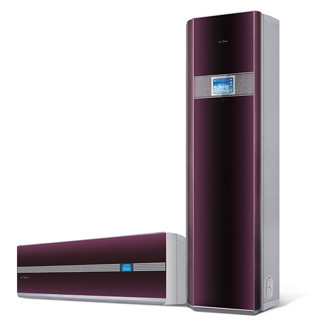 The innovative "top air outlet + side air outlet" structure realizes wraparound stereoscopic air supply mode, with no dead corner for air supply. Air conditioner operation frequency (rotational speed of compressor) can be automatically regulated according to change in number of air conditioner users as well as change in indoor and outdoor temperatures, for operation of ±0.2℃ accurate temperature control, thus realizing unimaginable comfortable feeling. As one of the few microwave oven products at ten thousand Yuan grade at the market, X5 adopts matching of black and orange, large black crystal panel, and integrated pull-down door design, and is beautiful and elegant in appearance. 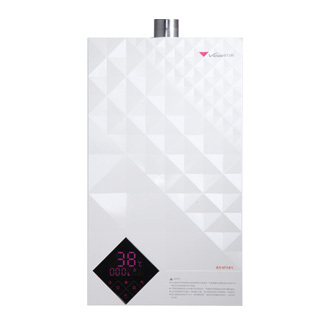 It possesses design of 46 intelligent nutrition menus. 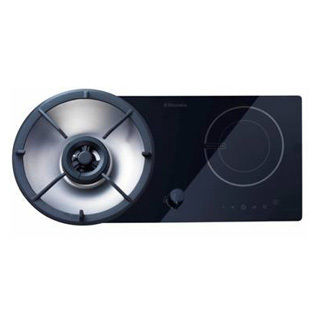 It matches navigation function of frequency-conversion slow fire and strong fire as well as frequency-conversion steam and heat coordinator, navigation function which can simply search 130 menus only through rotating the knob, prompt function which displays the next operation method and attachment information, to help the persons not good at cooking deal with multiple gourmet cooking easily. Inlay the Swarovski crystal diamond to the elegant panel. The crystal particle shines like stars and reflects the ultimate cutting skills. The continental elegance and honorable temperament flow beyond words. There are five indexes of constant temperature, speediness, continuity, silence and non-dry to promote the comfort of air conditioner and realize the higher accuracy of frequency control. The original full DC Frequency Conversion Technology, as well as the compressor electric machine, internal and external fan electric machines adopt the DC brushless electric machine. The minimum operating frequency of cabinet is only 10 Hz which will save more power. Oulin intelligent healthy water channel JBS2T-OLGS2-D400 is an integration of water channel and water-purifying product; it has concealed installation below the table and intelligent operation on the table, and has perfect combination of stretching water channel and glass touch control; and the product is smooth and has a touch feel. The water-purifying equipment adopts ultra-filtration and RO technologies, without water storage tank design, and is equipped with four-function water faucet of patented design, which could realize four water effluent methods: cold water, hot water, ultra-filtered water and RO water, thus solving the demand for drinking water thoroughly. 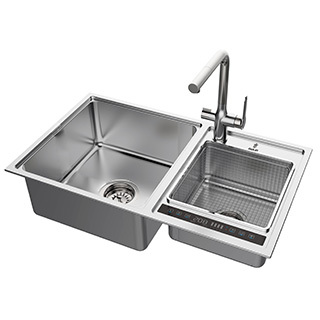 Oulin water purification sink JBS1T-OLGS800 is a crossover product. It perfectly combines water tank and water purifier. With concealed installation under the platform, and intelligent operation on the platform, it provides the users with the most reasonable viewing angle and using position at the same time of not occupying space. It is coherent in whole, and is full of modern and technological atmosphere, and sheer beauty. There is no block between water purifier and water tank. It maximizes the utilization of every function, which conforms to combination of modern lifestyle. Qinyuan water dispenser JLD8585XZ-RO is equipped with built-in filter element and waste water tank, so as to save spaces effectively, and the waste water can be directly used for mopping floors, so as to use energy rationally. 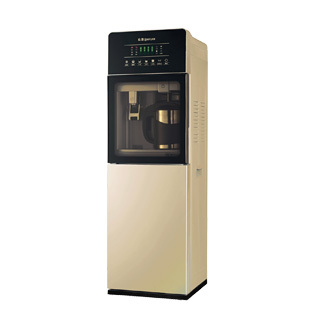 The water dispenser has new upgraded strong large filter element and RO film with powerful filtration performance, and integrates drinking function and water purification function into one, which not only saves the traditional water dispensers’ water supply mode which wastes time and energy, but also saves cost. Moreover, this product adopts design of heating by pot and boiling tank, which changes the traditional heating mode, and is more suitable for Chinese families. 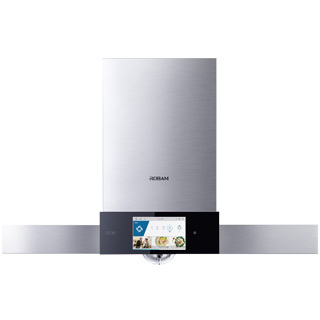 Rinnai RHS71W16ALR-CR oven range is equipped with three-in-one purpose of kitchen range, oven and rice cooker, and is available for all cooking methods such as frying, stir frying, stewing, boiling and roasting. It is equipped with many intelligent operations, and could heat up water, stew soups, cook noodles and other things for you. It is equipped with the functions of overflow prevention, automatic shut-off and automatic thermal insulation, so as to protect you. It has also taken health and safety into consideration: the temperature sensor could not only prevent the food from enduring excessive oil temperature but also prevent damage timely so as to avoid accident. 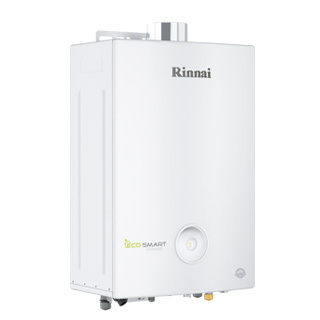 Rinnai gas heater RUS-16E76FRF is equipped with seamless combustion switching, micro flame and bypass water mixing, total three big core technologies, reaching real effect of constant temperature. The water-temperature massage function could make the blood capillary expand or contract, thus having the effect of health maintenance and skin care. After starting the water-temperature massage function, the water temperature would be of regular fluctuation within the scope of the set temperature and 10℃ below it, so as to realize comfortable massage. 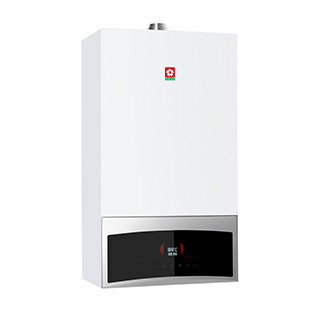 Rinnai gas-fired hung boiler RBS-32K88 adopts condensing heating technology suitable for Chinese. It is small in size, easy to operate, and has strong gas adaptability, and is suitable for multifarious regional geographical features in China. It uses efficient condensation technology, fully suctions heat in the smoke, reduces gas wastage, and saves gas. Meanwhile, it has condensed water neutralization system, to prevent corrosion, reduce environmental pollution, and increase service life. It possesses six intelligent modes, to provide energy-saving, environmental, safe and convenient water usage experience. 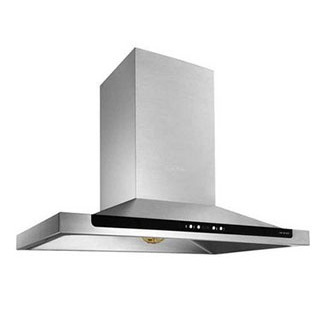 Robam CXW-200-5610 range hood has made an innovative application of patented suspension technology and intelligent sensing window. It could be started through sensing by suspending the palm above the Robam LOGO. And you could adjust and control the blast capacity at ease through swinging your hand. The carrying ROKI intelligent system realizes intelligent linkage between the range hook and the kitchen range according to electric menu data, enabling the users to feel the charm of the future kitchen of science and technology. 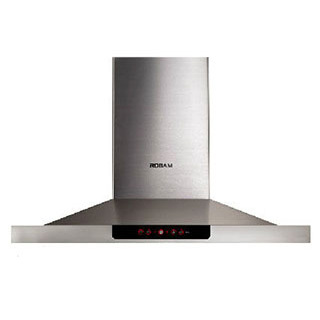 The Robam smoke exhaust ventilator CXW-200-9700 adopts the ROKI intelligent cooking system which integrates the intelligent cooking, intelligent security, intelligent service and intelligent distribution. 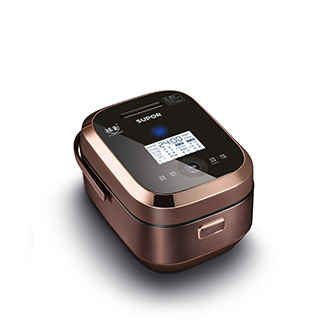 The system can automatically adjust the blast capacity and cooking time of smoke exhaust ventilator and remote operation after connecting with the intelligent APP of phones will be more convenient. The cookbook from five-star chefs is stored in the system which will make it possible that people who don’t understand how to cook can cook dishes. The design of 200 mm long smoke collection cavity which blast capacity reaches 19m³/min and that is worthy of words. The traditional European appearance combined with the Chinese performance perfect integrates the external and internal features. 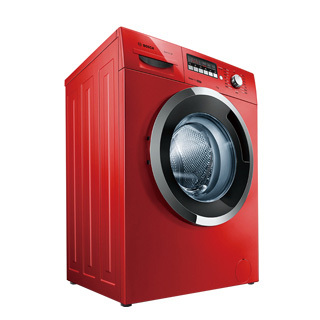 The red intelligent touch button design of wave mode brings the new man-machine interaction experience. 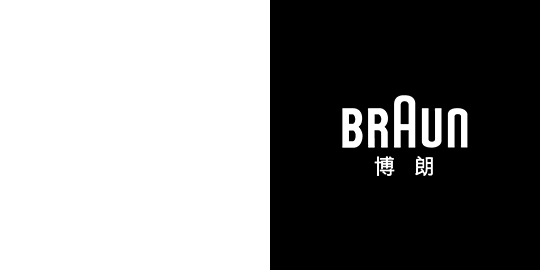 The whirlwind grade which is specifically designed for stir frying can release the blast capacity of 19 m3 each minute and ensure the rapid exhaust of smoke. The “heart” adopts the patent 2.0 draught fan system of double powerful cores can bring the unprecedented strong suction and exhaust capacity. Under the coordination of deep cavity design of 28300 mm3, there is no place that smoke can escape. The originated invisible smoke exhaust ventilator adopts the simple design which fully reflects the concept of "simplification". The smart size of 800 mm is concealed in the cabinet which is simple and convenient and restores the overall original appearance of kitchen. The patent draught fan system of powerful double cores and A++ oil-filter screen can thoroughly filter the smoke and ensure the constant clean of cavity. The large blast capacity of 17 m3 can sweep the smoke for a moment. The seamless cavity which is molded as whole, oil cleaning technology and the patent double-layer filter screen will make cleaning easy and ensure there is no place for oil contamination hiding. 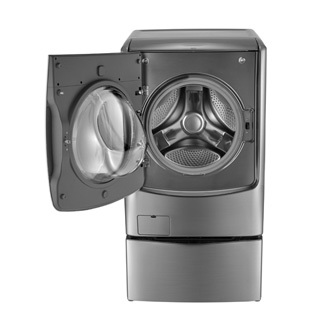 The 2.0 draught fan system of double powerful cores brings the unprecedented strong suction and exhaust ability. The large blast capacity can reach 18.5 m3, 16 m/s which will ensure there is no place for smoke hiding. The three-dimensional spiral induced draft of 360 degree and high wind pressure of 330 Pa will ensure the smoke will not escape any more. The patent “free of dismounting and cleaning A++” filter screen will ensure the unobstructed way for smoke rising, effectively filter and rapidly exhaust without retention. The three-minute rapid function which is design based on the eastern cooking habits can ensure the smoke will not escape during stir frying. The double "cores" has not only drove the exhaust capacity of 8210 be the unparalleled as the industrial originated draught fan system among the like products, but also realized the "rapid" development of exhaust technology of smoke exhaust ventilator based on the maximum absorbing and exhausting volume within the unit time. The oil screen adopts the double-layer structure of detached screen and enclosure which can effectively hold up each drop of oil and ensure the thoroughness of smoke exhausting. The wispy brushed metal combines with the embedded acrylic materials, which increases the excellent texture and anti-dirty ability, as well as the ability of easy cleaning. Sakura SCL-28B55 gas fireplace is equipped with several heating modes, and adopts advanced microcomputer-control combustion mode. After using big fire to reach set temperature rapidly, then turn the combustion mode to soft fire to conduct thermal insulation combustion, so as to reduce ineffective damage and loss while ensuring continuous heating. The unique high-efficient turbulent heat transfer technology could extend the heat transfer time of water in the water tank, which could greatly improve the heat efficiency. 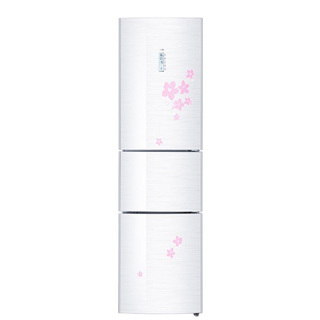 Dynamic sakura dazzle light floriation drawing is specially designed on the front decorative panel. Five rings of soft blue light flickers layer by layer, and blossoms into beautiful sakura pattern like water wave, which makes the overall appearance seem more beautiful and fashionable, and perfectly matches with the modern kitchen. Various operations can be completed through light touch on the touch-sensitive LCD display screen. It adopts double oil screen non-dismantling and none-clean structure, which can separate oil smoke in a better way, and realize freedom from demolition and wash. Air inlet duct is optimized, so that the oil smoke can be suctioned into the air duct more smoothly; the motor is fixed with hexagonal bracket, so as to reduce noise. Adopting second-generation quantum dot display technology, Samsung KS9800 has a color purity and stability which is obviously improved as well as a stronger expression of color difference. The HDR luminance peak at 1000 nit and the deep-dark coating anti-reflection technology has thoroughly improved the expression effect of the overall image quality. In combination with frameless curve design, it brings a more wide view, and together with automatic optimization of depth of field, it brings an unprecedented immersive sense of viewing. 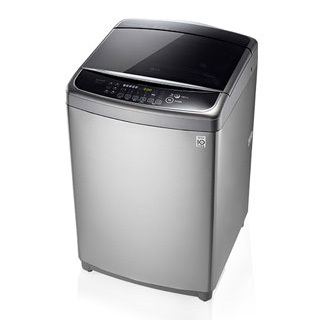 Sumsang pulsator washing machine XQB160-D99I is of innovative dualwash design. It has two special washing areas for hand wash and machine wash. It conducts hand wash first, focusing on removing stubborn stains, and then conducts machine wash, upgrading for deep cleansing. It ingeniously integrates traditional way and modern technology, thus saying good-bye to the times of "washing in basin", and realizing one-stop relaxing washing. Through synergistic effect of the main pulsator and the unique roller, the unique "dualwash" technology forms quadruple power water flow, to fully stretch the clothes. At the same time of cleansing the clothes, it effectively reduces winding, to take care of the clothes. It possesses large size and "internally and externally refined" 4k image quality, rich and considerate intelligent applications, flexible and innovative control mode, sophisticated technology upgradable to integrate with the future, and extremely artistic crescent time design. 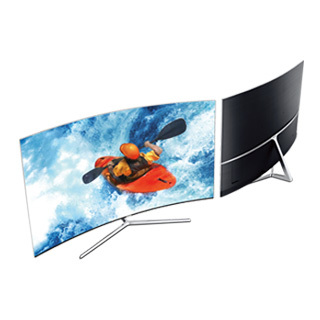 The product is equipped with S-PVA liquid crystal display screen whose resolution ratio reaches up to 3840x2160.  With quadruple detail enhancement technology, it can convert current general video signal into ultra-clear signal. In addition, it carries hardware and software image quality engine and 2K-4K image quality improvement technology, and is good both in appearance and in function. 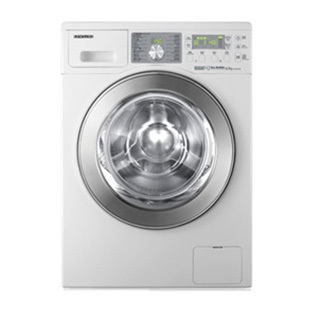 It has power off memory and self-diagnosis function; the ecobubble technology enables the detergent to play its role more thoroughly; the design of diamond-type inner barrel reduces dehydration hole in the inner barrel from 3.2mm to 2.4mm, for deeper washing; it is safe and reliable with intelligent door lock and overheat protection; it is visual and accurate with digital display and double LED display screen design; it is of error display; it is of one-button rotary shortcut button; it is of computer intelligent control, which makes washing become simpler, and reduces washing time at the same time of effectively improving washing cleanliness and reducing power consumption. 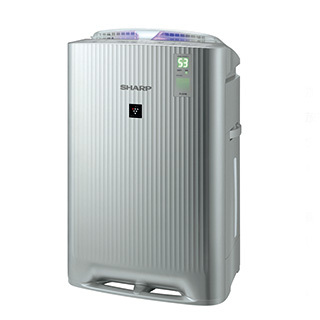 Sharp air purifier KI-BC608-W is perfect in respect of carving in details, such as air duct optimization, strainer upgrading, new operation and display panel, etc. Concentration of Plasmacluster is even increased to 25000. It is of design of sixfold strainers, including rear panel, integral strainer for deodorization·formaldehyde elimination, formaldehyde elimination strainer, efficient HEPA strainer, humidification strainer and front strainer, to realize complete purification of indoor air. Plasmacluster takes the initiative to purify the air, and then clean all the harmful gases with cooperation of efficient sixfold strainers. 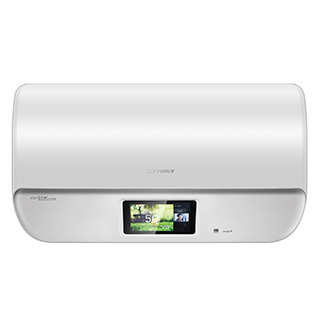 Intelligent voice function is the biggest selling point of KI-CE60-W. After being combined with air quality sensor, once finding air pollution, Smart voice assistant will prompt the users the air quality with voice, and then automatically purify the air. 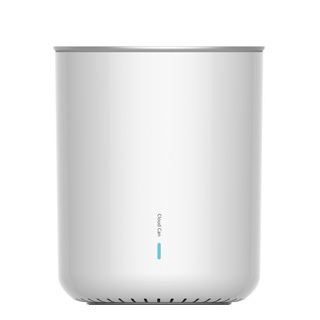 In the whole process of air purification, it completely liberates the users' hands, and makes the air purifier become air steward of the family, and makes the air purifier industry take a key step forward. The unique Plasmacluster space purification technology decomposes and removes mould, and conducts complete purification through quintuple strainers. Double purification idea which integrates attack and defense into a whole opens a new chapter in the field of air purifiers. It carries "Plasmacluster" space purification technology independently researched and developed by Sharp. The patent Plasmacluster technology can release positive and negative ions which are the same to these in the natural world, to ensure safety and harmlessness at the same time of effectively purifying the air. Multiple high-quality strainers promote purification effect, and are simple and convenient to maintain. The metallic machine body breaks rigid appearance of the traditional purifiers.  Classical characteristics of big brand are shown everywhere through multiple humanization details. It carries "Plasmacluster" space purification technology independently researched and developed by Sharp. Average killing rate of staphylococcus albus reaches 99.98%, average elimination rate of natural bacteria in the indoor air is 96.79%, and removal rate of formaldehyde reaches 99%.  It has acquired "domestic disinfectant and disinfecting apparatus sanitary license" issued by Ministry of Health of the People's Republic of China. It can effectively kill harmful bacteria, and remove PM2.5, formaldehyde and other harmful substances, so as to protect the family's health. It integrates attack and defense into a whole, and makes the air in the house become super fresh. Combination of 4-color technology and Quad Pixel Plus totally subverts the previous concept of three primary colors, and realizes high-quality and finer image; clear and bright picture can be enjoyed even for 3D image. Dynamic Highlight technology is innovation based on Quattron 4-color technology. It automatically regulates backlight brightness of various areas according to light and shade information in the picture. Then it combines with dynamic image processing technology, and makes the bright part become more brilliant and colorful and the dark part become richer and deeper. 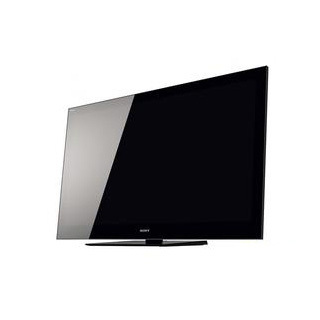 It is of black and glossy narrow bezel design. AQUOS Quattron symbol is on the top left corner of the screen bezel, which means that LV925 series adopt advanced 4-color technology, namely, yellow element is added on the basis of the original three primary colors including red, green and blue, to make the picture color become more realistic and natural. 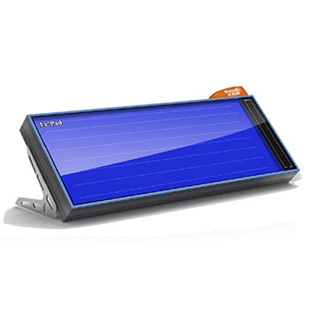 It adopts X-Gen ultra-fine panel, and carries the unique light transmission technology "UV²A" which is of fast response speed, high contrast ratio, and higher peak brightness, and can effectively restrain light leak phenomenon of backlight, thus greatly reducing power consumption. 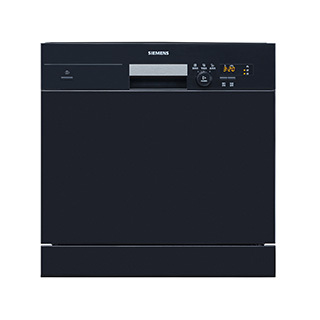 Siemens dish-washing machine SC73E610TI is equipped with advanced intelligent high-efficient water system, and makes water inlet and outlet in stages. It could drip and wash the bowls and dishes fully, and combining the intelligent sensing function, it could control the water volume automatically, thus reaching a better washing effect while being energy saving. The product has a washing capacity for 8 sets of standard tableware, which could meet washing requirement of Chinese families, and its sterilization and drying technology could provide intimate care for family members. 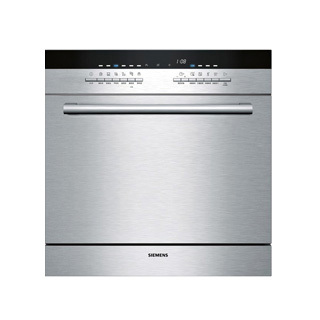 Siemens HS658GXS6W electric steaming box has innovatively combined the steaming and roasting cooking methods. The unique nursing-bottle sterilization procedure of the product could have a sterilization rate of common bacteria at 99.99%, which has wiped out the vulnerable bacteria pollution of the steam box. 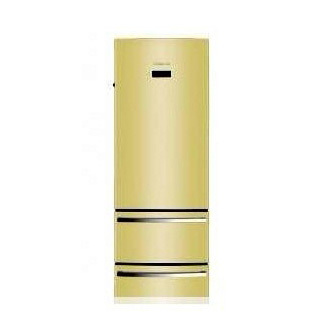 The unique design of external water tank has made the steaming process go on constantly, thus ensuring optimum cooking effect. 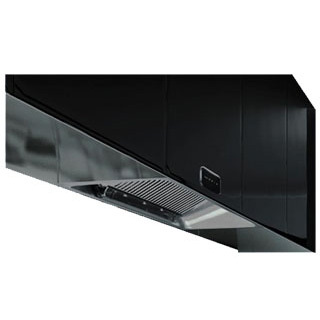 At the same time, 4D hot-blast air and other oven functions have also maintained it at a level of high-end oven. 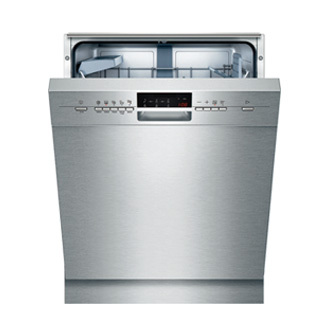 The Siemens dish-washing machine SN45M531TI possesses the most advanced IQ driver intelligent efficient water system which can supply and drain water by grading and drench and scour dishes sufficiently. At the same time, the application of heat exchange drying technology leads the cooling and heating alternation, accelerates the dry process, saves water at the largest extent and reaches over 99.9% bacterial eliminating rate. The perfect detail design, light sensation technology of water turbidity sensor, intelligent detection of tableware loading capacity and the application of other advanced and distinguished technologies can truly reflect the product value of advanced embedded dish-washing machine. The unique ozone + ultraviolet rays + comprehensive high-temperature sterilization mode of Siemens disinfection cabinet HS363600W can efficiently kill the bacteria in the space and ensure there is no place for bacteria hiding. Six sets of disinfection drying mode with different periods will efficiently kill the bacteria in the space with multiple-effect complementation and adoption of respective merits. 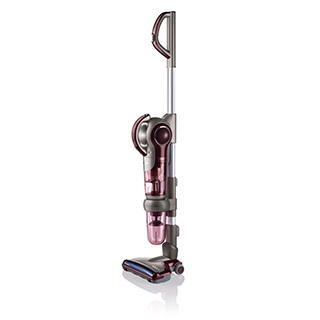 It truly achieves the cleaning effect of deep sterilization. There is newly upgraded bowl shelf in the internal of disinfection cabinet which can provide additional 15% storage space and greatly promote the utility rate of space. 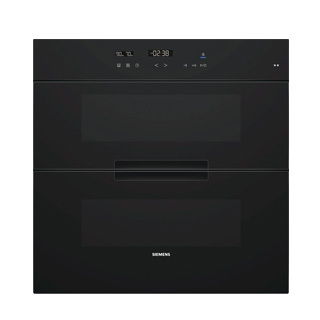 The Siemens Oven HB78GB590W has 14 cooking methods, including the classical upper and lower cooking, baking during moisture retention, barbecuing by increased hot wind, etc. The maximum temperature control scope of oven is from 30 degree to 270 degree that can cook more types of food. 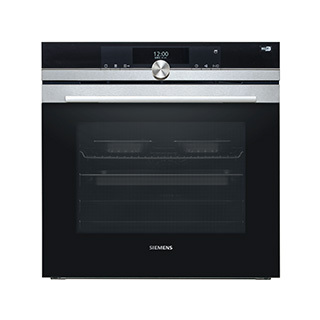 During the operation, the difference between the set temperature of oven and the actual internal temperature is less than ±3 degree. Its accurate temperature control technologies which are equipped with 68 automatic cooking procedures can perfectly cook various foods. 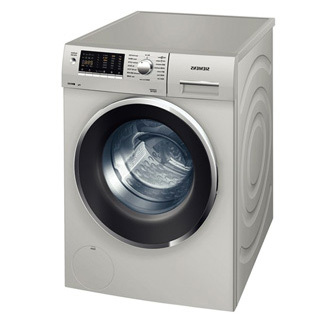 The machine possesses six almighty washing procedures, including "strengthened 70 degree" which thoroughly collapses the stubborn oil contamination and solid contamination and is a smart choice for family; "automatic 45-65 degree" can automatically set the optimum cleaning pattern which is the thoughtful choice; "standard procedure of 50 degree" can soak clothes sufficiently and save much power which is the secure choice for daily washing; "fine washing 40 degree" can take care of high-end tableware which is the wise choice for high grade life; "rapid washing 45 degree" can rapidly clean the tableware with less oil contamination which is the convenient choice for elite people; "pre-washing" can wash the tableware with cold water which is the quality choice for petty bourgeoisie. Instead of the common metal screen, the exterior of smoke exhaust ventilator firstly adopts three black dismountable high temperature tempered glass which makes the overall external appearance color of smoke exhaust ventilator more harmonious and compromises the cold sense of metal; the air inlet from six directions can greatly promote the speed of grease separation and the golden angle of 33 degree can absorb more smoke. With the intelligent self-cleaning function, the 18 m3/min blast capacity and 430 Pa air pressure can form the "efficient strong suction". 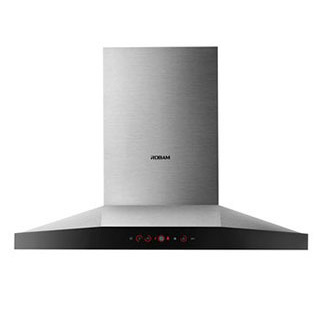 It also has the ability to keep the air fresh in the kitchen during the peak period of cooking at night. The fashion and elegant appearance design is beautiful and decent with the beauty of texture. The machine has large washing capacity of 8 KG and large display panel that can make users know the operating conditions of washing machine at any time and reflect the sense of science. The leading 3D positive and negative washing technology can produce the strong and soft and positive and negative dual power through roller rotating towards the positive and negative directions and realize the combination of clean and soft. In addition, the unique raindrop-shape barrel and S-shape asymmetry lifting rib design can take more care of fine clothes. The 3D drying technology can make the clothes acquire the air flows from different direction during drying like a all-around massage which will evenly dry the clothes and make them fluffy; the humid balance technology can accurately control the humidity of clothes all the time through a sensitive detecting device and intelligent heating calculation and people will not worry about the deformation or damage of clothes caused by the uneven heating. The advanced 3D air condensation technology can use the air condensation under the normal temperature which avoids the consumption of condensation water. 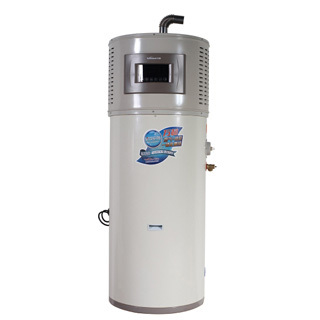 It breaks the single function that the traditional solar water heaters can generate hot water only. It realizes application of the full set of photovoltaic power generation and lighting power supply system on water heater products. It ingeniously combines photovoltaic power generation and all-glass evacuated solar collector tube together, and designs a solar power generation tube with simple and novel structure. 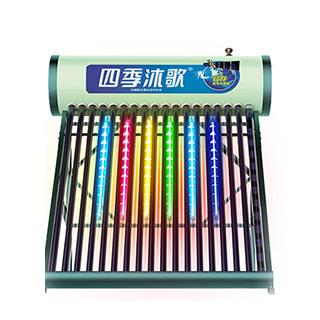 It realizes organic combination of current product structure of solar water heater and application form of photovoltaic power generation, and resolves the users’ lighting demand at the same time of resolving the users' hot water demand. The totally natural design makes the seamless connection possible between the screen and frame. The pedestal design of "six visual angles" will make users enjoy the sight of television; the thin body is perfectly matched with the delicate pedestal. On the aspect of color, the machine adopts Live Color technology and color increasing technology which can intelligently adjust the color and automatically recognize and enhance the color area where the color is required to be enhanced to adjust the color expression of images in movie and television program and eventually, the images will be revivified to the visible and natural color. Unique double tank design of Sunrain double tank solar water heater Q-B-J-1-149/2.50/0.05 separates heating and heat storage. It adopts black gold south-pole tube and heat retention wall patent technology. 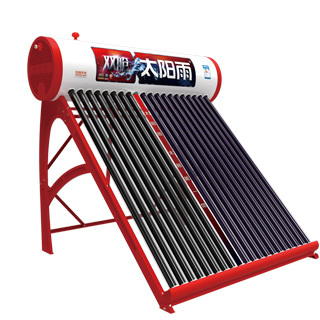 The creative all-in-one combination of solar water heater and electric water heater enables the solar water heater to supply hot water even in rainy weather and other cold weather, which effectively resolves the traditional solar water heaters’ disadvantages including long heating time and small amount of hot water in winter, and brings wonderful quick heating experience to the users. It is more secure, energy-saving and comfortable. 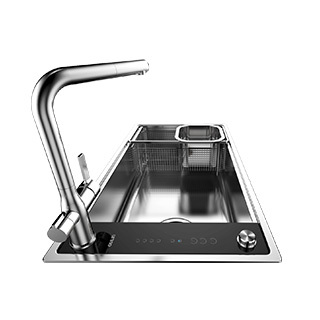 It is of efficient integration and integrated design; it possesses unique design of optic-electro and optic-thermal dual-energy drive system, and is equipped with professional circulating pump, with higher heat exchange efficiency; with multiple tanks for pressure bearing and heat exchange as well as hot water-supply from the top, heating power is stronger, water outlet is quicker, and water temperature is easier to adjust; its heat-collection plate adopts 3.2mm high-permeability toughened glass, with better light passing effect, and better and safer heat collection; with free angle, it is simpler to operate, and is widely used in roof plane and facade wall hanging, thus saving more indoor space for urban families. 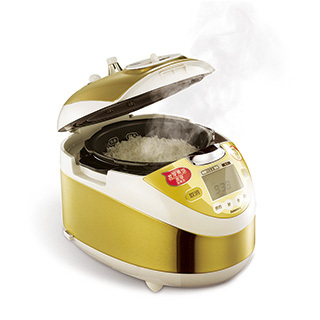 Supor Hz10 steam rice cooker has a steam water-storage cup designed inside it, which could spray “steam” to the pot during the cooking, thus making it have even heating during the cooking process and maintaining the rice have full elastic force and freshness all the time during the thermal insulation process. The design of tilted large panel echoes to the internal spherical liner and steam water-storage cup, and the gliding control makes it more convenient to operate, thus bringing a convenient experience for the consumers. The machine can limit the temperature of healthy hot water below 60℃ to avoid the bathing water scaling or the damage to human body caused by the hot water. When the flue is blocked or there is down draft in flue, the flame will go off automatically and display the safety code for ensuring the safety of combustion. In the event that the gas breaks off for some reasons, the machine will stop working automatically and cut off the gas supply source. Furthermore, the machine cannot restart automatically after gas recovery and it shall be restarted manually which can ensure the safety of users. 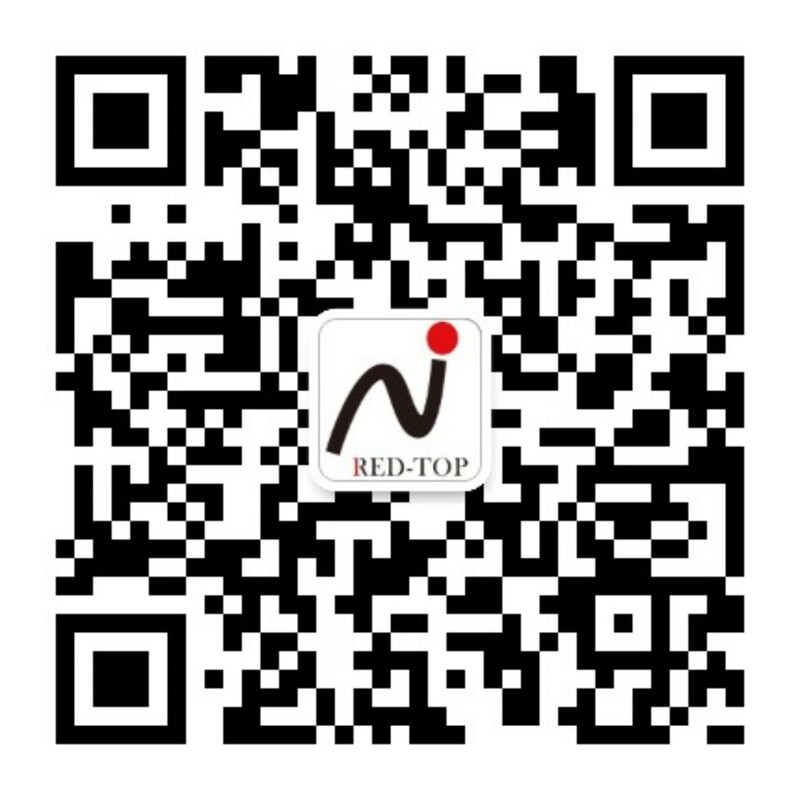 It deserves the “Red-top Award” of gas-fired hung boiler products. The machine adopts the design of advanced integrated condensation and heat transfer structure which greatly promotes the thermal efficiency. The machine is equipped with water server and two adjustors of water and gas which make the machine possess more excellent performance compared with the traditional control methods. The intelligent switching technology of three valves and five grades make it smoother to switch thermal power grades without temperature interrupted grade. The temperature control is more accurate. 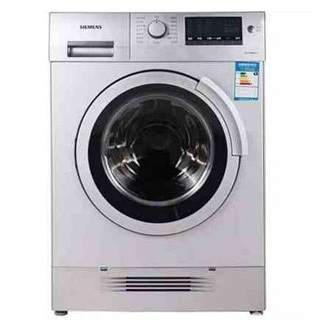 The machine is energy-saving and practical and Vanward has brought the landmark products for us. 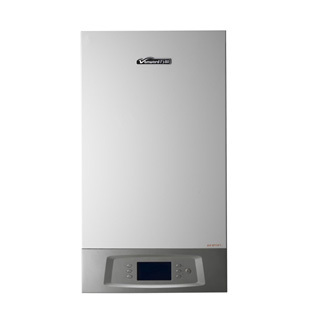 Therefore, Vanward SV56 gas water heater acquired the "Red-top Award" of advanced household appliances in 2013-2014. The machine adopts the originated integrated design with auxiliary heating by gas in the world and make the compressor of famous brand in the world will not be affected by the external environment temperature. The temperature of water can be freely set within 40~60℃. The water is completely separated from the electricity, which prevents the danger of electric shock. There are models of automatic sterilization and manual sterilization which will ensure the users enjoying the safe and heal hot water. Use the thermostatic expansion valve technology to prevent the compressor from being damaged by the overheating and the product possesses high durability. The machine integrates three core technologies of "efficient heating engine, constant temperature heat preservation cabin and intelligent heat transfer system" which are applied to the slab solar energy, air energy, gas, power and other source powers for hot water and form the complementation of hot water by multiple energies which solves the bottleneck problems of water heater application including traditional resource constraints, high cost of electric energy, inconvenience of using solar energy and heat-pump water heater during rainy days and winter and the difficult constant supply of hot water. 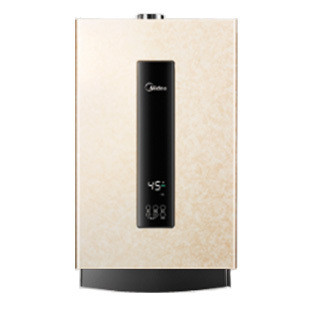 It can supply the energy-saving, convenient and efficient hot water for consumers. The machine takes the air as heat source and users can obtain the domestic hot water within the scope from -7 ℃ to 43 ℃. 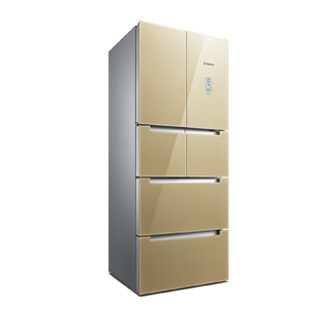 The auxiliary heat pump is more energy-saving. 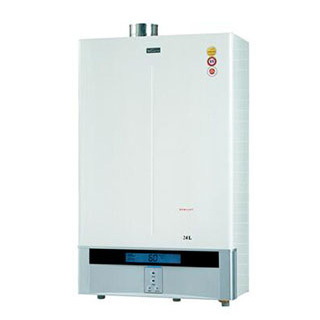 The overall power consumption is only 25 % of electric water heater’s power consumption. The machine is equipped with many protective measures. 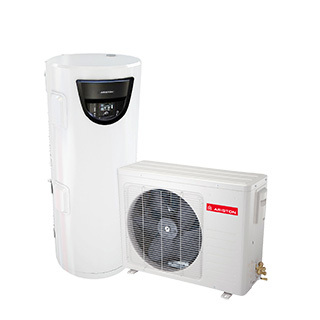 The heat pump circulatory system is equipped with overpressure and over-temperature measures which can avoid the conditions that endanger the security and stable operation of heat pump system. The water tank is also equipped with the pressure releasing device which can ensure the personnel security and product safety during the operation of machine.  Due to the new technology and outstanding energy-saving and security features, the machine has acquired the Red-top Award of the water heater products. Innovatively adopt the "fully premixing pure fire combustion technology + efficient condensation and heat transfer technology" which ensure the sufficient burning or gas and the re-innovation of thermal efficiency reaches 107% which brings more distinguished energy-saving effect. The VAR intelligent constant temperature system with large capacity of 24 liters can rapidly keep the temperature constant within 25 seconds and the fluctuation of water temperature is only ±1℃ and the temperature rise during the non-operating condition of machine is only ≤1℃ which can meet the demand of hot water at any time and at different water points. The machine can bring the comfortable and stable experience with water and finish the “wilful” time of unstable water temperature. 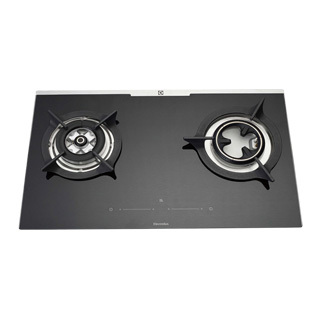 Vatti gas stove BHC836B1 adopts separable burner design, and alloy honeycomb monolith can be separated from the burner, which is convenient for daily cleaning and maintenance. Through patent technology of double needle combination, it combines "ignition needle" and "flameout protection needle" into one, and adds ground wire separately, to make the inductive loop become more reliable. Application of common rail injection technology and full premix technology makes airflow of inner and outer rings operate synchronously in different ways, extra large premix bin makes full premix of gas and air, and discharge of carbon monoxide and nitrogen oxide is almost zero. The box line with streamlined design brings harmonious aesthetic feeling. It provides "customized" version based on thought of luxury goods, and the box is decorated with beautiful drawings; the product first uses soft dome tweeter unit and waveguide technology, and is produced with new process, which effectively reduces the resonance. 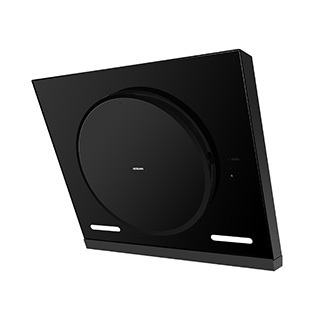 In aspect of tweeter, it adopts 30mm soft dome tweeter unit, to provide extraordinary details and high-frequency performance. Adoption of waveguide technology can reduce distortion during playing of the music, thus ensuring that high-quality music can be obtained under any environment. SEAS's Hi-End grade Excel unit depending on 60 years' production experience provides absolutely clean and transparent sound performance. 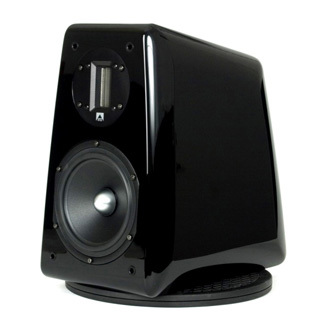 Meanwhile, it is equipped with ribbon tweeter, to guarantee ultrahigh transient response and flat frequency response.  Other elements adopted for 99.26 are also selected carefully, so as to provide a top product with the lowest sound coloration. 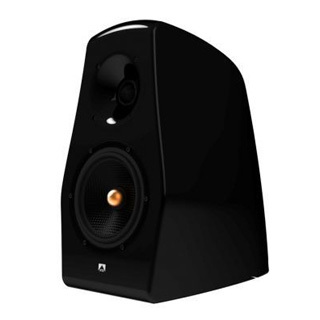 Its workmanship is peerless in the section of the same price, and can be regarded as luxurious model among high-end sound equipment.